The Raim Collection is interior bathroom and bedroom furniture designed for unique residential settings. The collection includes a large double sink vanity, two small vessel sink vanities, and a bedside table. The Parellada stand vanity was designed to coordinate with an off-the-shelf vanity top. The vanity as shown in the photo was made from bleached white oak to coordinate with other millwork finishes, the mosaic tile and wood slab bench in the adjacent shower. The finish and hardware can be changed to coordinate with other relevant design elements of the residence. The small vanities can also be coordinated with adjacent finishes and other finishes found throughout the residence. 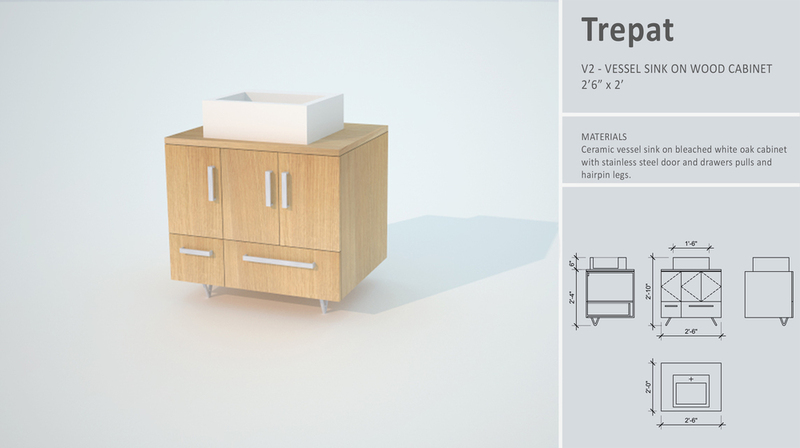 The Trepat coordinates with the Parellada and is made of bleached white oak with a white ceramic vessel sink. The Xarel.lo is made from white plastic laminate and a quartzite stone top with a stainless steel vessel sink. 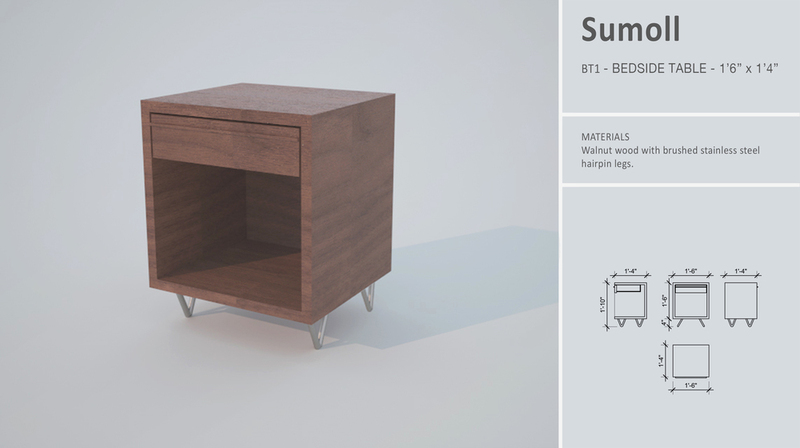 Finally, the Sumoll bedside table was designed to coordinate with a large 9-drawer walnut dresser. The dresser was not part of a broader collection so the bedside table was made of similar material and details that pays homage to the famous mid-century furniture designer George Nakashima. The bedside table is made from solid 1" thick walnut with stainless steel hairpin legs.